Just hours after the co-founders of Lyft announced a donation of $1 billion to defend the Constitution to the American Civil Liberties Union, CEO Travis Kalanick at Uber opened his wallet as well. The Uber CEO promised via a post on Facebook that the ride-hailing company was going to create a legal defense fund of $3 million to help those drivers that were affected by the White House’s move to restrict refugees and immigrants from seven countries that are majority Muslim. The legal fund will be established to help drivers with translation and immigration services. 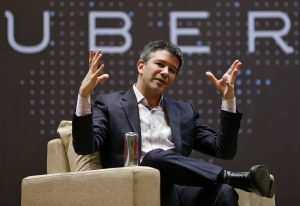 Kalanick said as well that the company, based in San Francisco would provide legal support around the clock to those drivers who are current stuck outside the U.S. The drivers will also be compensated for any lost earnings during their absence. Drivers who are eligible for this assistance were told to contact Uber through a form that has been provided online. While this announcement received some support on both Twitter and Facebook, many saw it as being too little too late. Uber came under fire one day prior to the announcement for an ad on Twitter that it was still operating, during a strike by taxi drivers protesting the president’s executive, at Kennedy International Airport in New York City. One response to Kalanick’s post on Facebook said the company was 20 hours late, while another said he had deleted his account. Though a statement was issued on Saturday by Kalanick opposing the executive action by Trump, it did not stop many users on Twitter from adopting a trend of decrying the actions by Uber. They accused Uber of trying to profit from the taxi’s strike and of prioritizing its business interests before what they described as a moral imperative. Celebrities were also quick to jump on that bandwagon with George Takei an actor as well as activist tweeting on Sunday to his nearly 3 million followers that Lyft donated $1 million to the ACLU and Uber just doubled down on supporting Trump. The action by the White House has prompted some support but by far the reaction has been negative around the globe. Many are upset that a number of people who already held valid visas and green cards, that represent permanent residency in the U.S., were not allowed to enter the country when reaching airports at their destination.